The way they talk about Chilean wine is almost fixed ; The Chilean wine is the most popular imported wine in the Japanese market by volume, the average sales price of them is extremely low and remained as cheap commodities for general consumers, but the quality potential of Chilean wine is extremely high, therefore great quality wines are abundantly produced and they are worth our deep appreciation. That’s right. As if I have nothing to add to it, they are so right. Everybody keeps telling us the same thing but the Chilean wines in Japan seem to be rooted into perennial positons on the shelf of supermarkets or CVS and show no sign of moving out from them. How many people among serious wine lovers in Japan can honestly state that they are solid fans of Chile? If somebody asks me what kind of wine I like and I say Chile, I can predict how that person sees me. He might say, “Ah, huh. Chile. I see”, and no more. He just thinks that I am a normal wine consumer, not a wine fan. Therefore, if you don’t want to be involved into irritating conversation about wine with those snooty brand-chaser who regard themselves as spontaneous and creative wine lovers based on their own personal value system and esthetics but in fact, just subconsciously assimilate the image somebody else has created before, I would suggest saying to them, “I love Chile wines!”with bright, innocent smile. When people intend to purchase premium quality wine, even though they intellectually understand the Chilean wine can provide the best price-quality ratio in those price points, their hand reaches toward those flags with blue-white-red or green-white-red. Those countries are masters of self-promotion. Their positive images wrap around wines and add extra value to them. The fact that only a few bottles of Chilean wine are sold at leading department stores of Tokyo, where many do shopping for gift or seasonal celebration, clearly visualizes how poorly the Chilean wine conveys good symbolic value to the Japanese consumers. Surely wine has retained symbolic value in any period of long history of our civilization.Otherwise, wine is a mere beverage. Thus, I never blame those who do not buy Chilean wines for special occasions. Relative lack of added symbolic value of Chilean wine is not related to the quality at all. The country Chile, their government should be responsible for it. I said in several occasions in Chile, “Look at Japan. It is a small country but almost every civilized countries including Chile knows something about Japanese culture : art, animation, Zen and stone garden, cuisine ; so on. How about Chile? Who in Japan comes up with the name of single Chilean dish? Chile does not have culture? Of course, she has, like any country. Culture delivering-communicating ability and skill are those your government does not adequately have. Chile exports copper or sea-urchin. They are great but they are materials, without culture which is the fandamental grammar of assembling materials. The Chilean wine is a material thus has value of only a material and can fetch only the price of material. However, wine appreciation is essentially a non-material consumption”. This problem cannot be solved in a short term. It is entirely wrong to let each producer take responsibility. Nevertheless, serious and forward-looking Chilean wine producers are making continuous effort to improve quality to raise the value of wine. Their effort can be immediately noticeable when you drink wine and I do have no hesitation to give my highest respect to them. 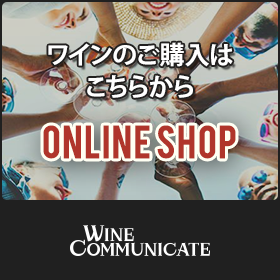 At the same time, they must take one marketing strategy making so-called Icon wine of very high price. If they have over 3 digits US dollars wine, they can create prestigious image, and the added value to their popularly selling wines and competitiveness can be improved. If the country cannot give the value, producers must make it by themselves. Their strategy is inevitable and correct from business point of view. I have tasted many fabulous Icon wines during my stay in Chile but I must confess that I have remained less than enthusiastic about them, observing their quality of them did not surpass the quality of Premium range below Icon in terms of price category. To me, the problem of Icon wine is unnatural thickness, lack of sense of flow, over-handled heaviness including too much new oak flavor, and sense of fatigue because of too much time in oak. In short, they were more the wine of man than the wine of great Chilean nature. I asked, “I don’t understand why Icon is 2 or 3 times more expensive than Premium. 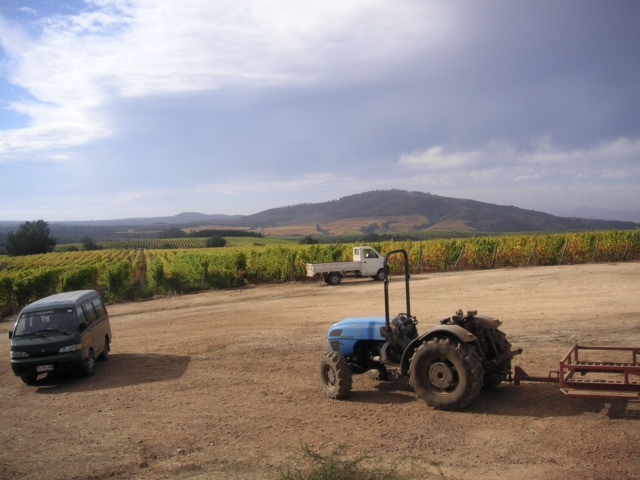 The cost of production is not that different, and the source vineyard is basically the same”. One person said, “There are some people who think the price and the quality are proportional. For the luxury market, being expensive itself has value”.Chilean people are honest. High price limits the number of people who can afford ; then Icon can be a symbol of wealth and elitism. The actual taste doesn’t have primary significance ; 95 points matter. If you look at grossly decorated packaging including gold leaf, super heavy bottle, metal label, finely crafted wooden box, and lengthy talk on back label, you, not a resident of such a conspicuous world, can easily tell for what kind of people they are made. Essentially speaking, only those who can tell it is a great wine, a precious message of nature, even in a blind condition without any mental conditioning set by marketing techniques, or those who make effort to be such, have the right to drink the great. However, it seems to me obvious that many people who lead the market of high-end wine love the famous name and the expensive price. From the point of view of the people who purely appreciate the quality of Chilean wine, this condition means that the highest quality grape is dishonestly utilized for overly expensive wines. We are surrounded by words and information on the pages of wine media more about Icon wine than anything else because it is the most effective way of spending marketing budget in order to raise value of entire product lines, but I would like to insist, after long thought, that not Icon nor Basic but Premium wine is one you should buy. , the following articles talk much about Premium wines. But they are not sold, nor imported ; they are virtually non-existent in the Japanese market. No need to ask why. There is no such demand. There are few people regarding the Chilean wine as an object of wine appreciation hobby. Then, what is the object of wine appreciation hobby, ideally speaking? First of all it is the wine of terroir : the wine that gives us special energy from special land, allows to create the sense of harmony between ourselves and the nature, and awakens ourselves through delivering the message from the superior. It is also a piece of art : the wine reflecting the life, philosophy, and esthetics of producer, and the wine that enables us to communicate and share their soul and spirit with us at the deepest level. And it is a accumulation of culture and history : the wine showing the great country, her culture, history, and people, and the wine that consumers respect by admiring the accumulation of noble will and effort of the nation. Do we have such wine in Chile? Surely yes, particularly about the first criterion. Chile is the country with abundant wine of great terroirs. The Chilean wine has a very special capability of delivering vast energy of nature, which immediately goes to the deep part of our body first then it re-appears in the more spiritual form from inside of our body. You can call the Chilean wine intense. Nowadays in Japan, especially among the fan lovers, intense wine tends to be look down upon as vulgar. But there are two different kind of “intense”: naturally intense one ( never forget all wines of Grand Crus are more intense than lesser ranks ) and overly extracted one. It is total humiliation to the great wine that two meanings are confused. 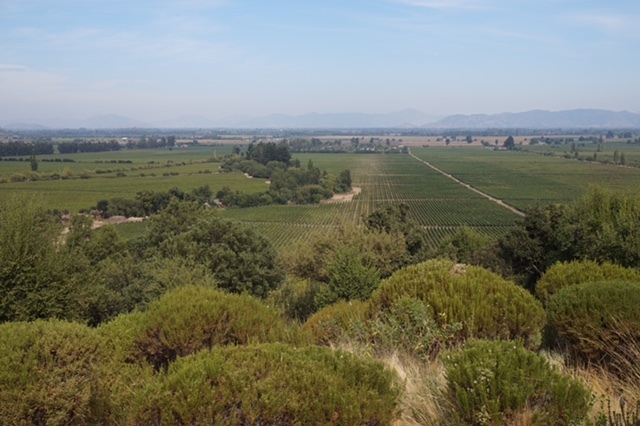 Happily enough, there are fascinating movement in Chile to focus on area-limited wine and single vineyard wine, as a result of their increased awareness about the great terroir of Chile. You can feel the marvelous combination of physical power and naturally spiritual intensity in those cutting-edge Premium wines of Chile. That is the real beauty you must discover. The number of artistic wine is still a few. Wine industry is huge in Chile and many wineries are large-scaled and involve many people and interest, thus it is disadvantage compared to some tiny French or Italian wineries where entire practices from farming to packaging are taken care by single person. But you can find artistic wines even in Bordeaux or Champagne where the size of winery is usually large. It is rather a matter of goal setting or motivation. As you see in my following articles, there are more and more artistic wines with unique creativity in Chile. It seems that they had been driven by economic necessity before but now, after establishing solid position in the world market, they enjoy advancing the frontier and have fun of creation. Needless to say, art is an ultimate form of fun. Regarding about the historical wealth of wine, we must look at Chile as a new country trying to enrich its wine culture. Now they are not aiming at abstract high quality which are often expressed by scores of famous critics, not following after France or USA, but becoming more conscious about their own identity and challenging to create distinctively and unmistakably Chilean wine. We, all passionate wine lovers, should walk the way along with the Chilean people then we will be able to see the real wealth of their culture and lovely mentality of the people in a wine glass. If you remember California of 1970’s or Oregon of 1980’s which were moving fast to establish their identity, you can experience the same kind of excitement and joy of drinking wine now in Chile. It is nice to appreciate something already established but it is certainly more thrilling and enticing to live within the now-happening events. As a conclusion, the Chilean wine is the fantastic and rewarding object of wine appreciation. But I must repeat. Many great wines of Chile are not yet imported to Japan. Particularly those I loved the most at wineries are not. My palate may be minority. If you have the same sense of minority, you can blame other by saying, “Stick to cheap Cabs forever”or you should travel to the opposite side of the earth by confining yourself in a tight seat of airplane to drink wine. The road to true gratification is always long. It was Brandabout that has taken me to this long way. They are independent, private organization taking care of PR of the Chilean wine and invite many wine journalists from all over the world. Quite a few numbers of great journalists of Japan has already travelled to Chile with their support and given us many enlightening readings. I am very glad to join this group of people who are willing to tell to the world about the truth of Chilean wine. I must express my overwhelming thank to Mrs. Suzana Gonzalez, a staff of Brandabout. Without her dedicated professionalism, exact scheduling, heart-movingly passionate guidance, and precise interpretation, it was absolutely impossible for me to feel this closeness to the Chilean wine that I do have now with fulfillment. © Copyright 2019 Wine Communicate. All rights reserved.